Start popping bottles, y’all. 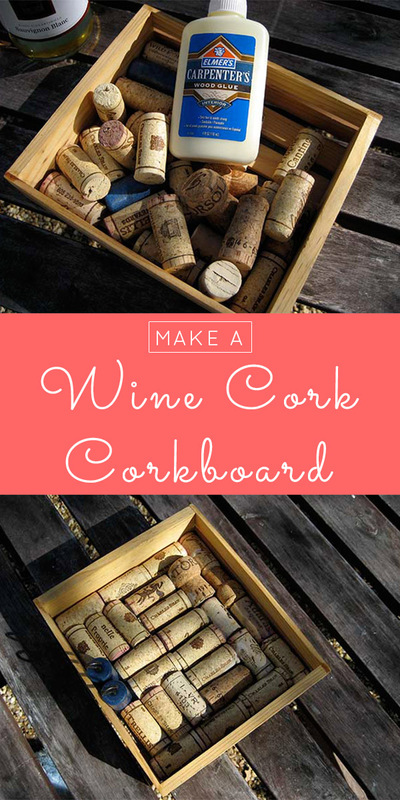 Here’s how to make a cork boak board from wine corks! You only need three craft supplies to make it, and one of them is free! 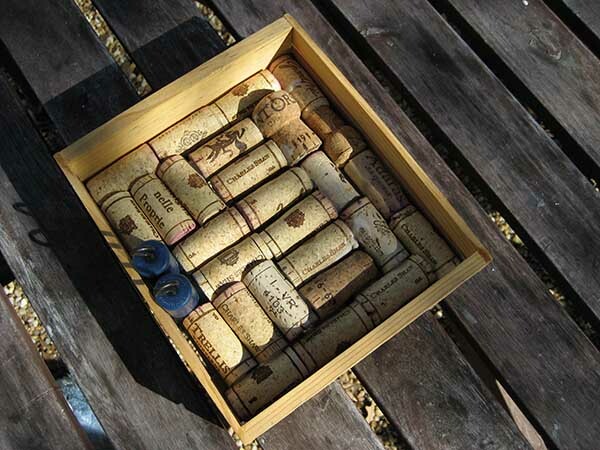 Have you been saving your wine corks, waiting for the perfect project to come along? Me too! I have a big ol’ stash of wine corks, and this wine cork board was a great way to use up a bunch of corks and make my work area a bit more organized at the same time. I have a habit of saving anything that looks like it could possibly become part of a craft project, and my cork stash was basically overflowing. 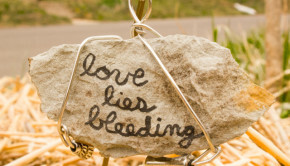 Maybe my husband asks from time to time whether I still need to hang on to them. Much to my husband’s delight, q recent, fruitful trip to the thrift store turned up a perfect second-hand frame for turning my cork collection into a DIY cork board. 1.If you’re like me, you’ll probably be inclined to just start gluing things right away, but resist that urge! 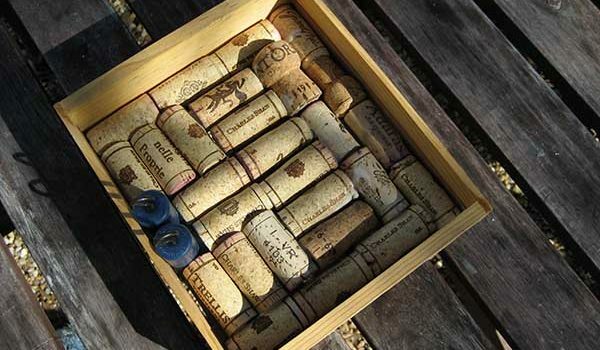 Lay out those corks before you start gluing. You’ll be glad you did. Once you have them all laid out, snap a picture or put the corks on the table in that configuration, so it’ll be a no-brainer to fit them into the frame once you get gluing. 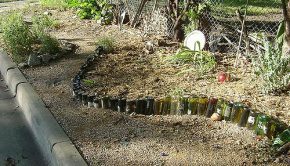 I opted to lay the corks on their sides, but you could also stand them upright. Or do a little of each for some extra texture. Make it fun! 2. 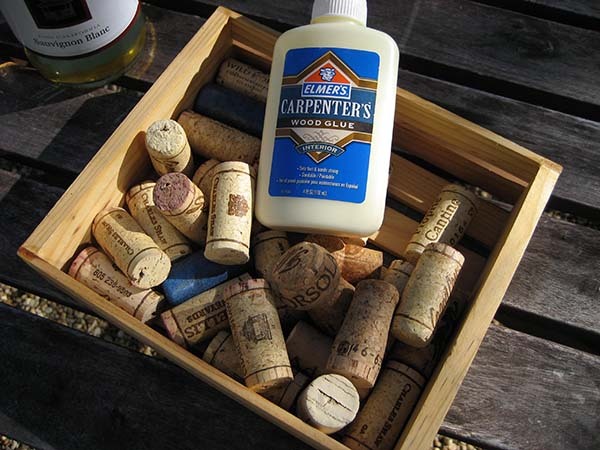 Apply the wood glue liberally to the sides of the cork that are going to touch the frame and the sides that will touch other corks. Start wedging those suckers in there, giving each cork a good press so it gets a good seal. My corks ended up fitting perfectly, but if your don’t you can slice away at the corks on the edge using a serrated knife to get a perfect fit. 3. (OPTIONAL) I decided to get fancy and add a couple of hooks for holding keys. If you want to go that route, I recommend these little hooks that you’d screw into the wall for wrangling cable. 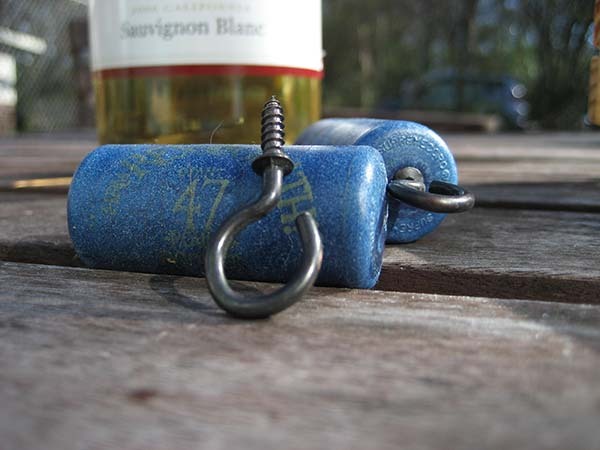 You can just screw those suckers right into the cork! 4. Once you’re done with that part, just let the whole thing dry overnight. If your frame already has a hanging apparatus, you’re all done! If not, you can always glue one on there or tap in a couple of nails and attach some picture wire. You could make this even fancier by painting the frame or the corks with some no-VOC paint. Or, you could cover your frame with pretty paper or fabric scraps! 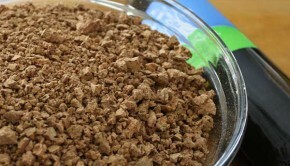 Hi just a note…cork comes from the rainforest. 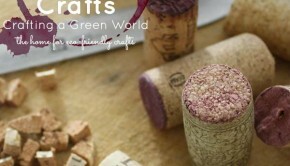 You can recycle corks at Whole Foods.